Volunteer in South Africa & have the best time doing good! 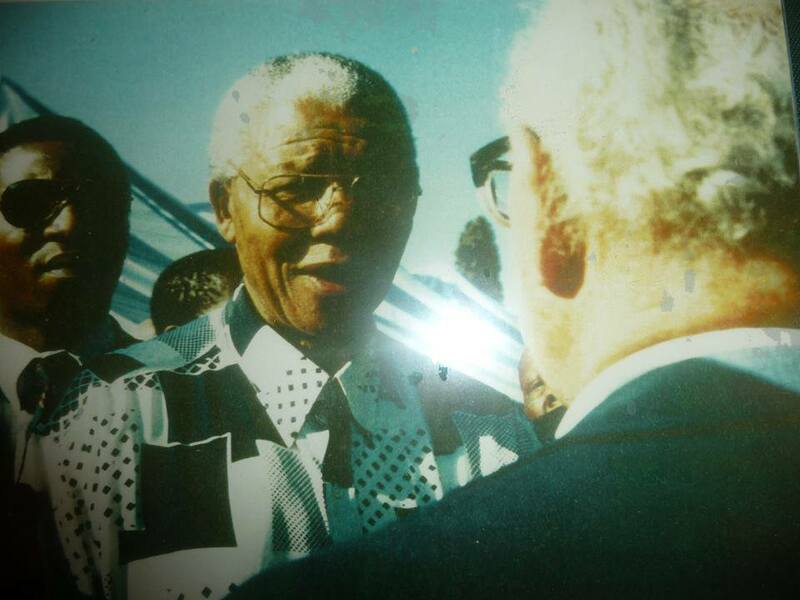 My name is Thomas Gosschalk and I am the proud Grandson of Ruth & Bernard Gosschalk – both of whom resisted Apartheid and were banned – Bernard pictured here with Nelson Mandela. In December 2013 I left Procter & Gamble after 7.5 happy years in Marketing in order to finally kick-off an idea I had been sitting on for over 5 years. You see, I had got the chance to visit Cape Town & South Africa in 2008 on a family vacation. I fell in love with the country. The setting, the people, the wine, the food & their love of Sports. I suddenly felt very South African. During out visit, we were fortunate enough to be shown around by Ben Turok – an MP and friend of my grandparents – a project in a township in Muizenberg that my parents had been sponsoring. It was at this point that I knew that I wanted to spend more time in my life helping others. I returned to P&G and successfully requested a sabbatical… I thought this would be really tough… I was wrong. It turns out that many organisations do care and are willing to go out of their way to help you help others… the hardest part of my journey was about to start. INSUFFICIENT FUNDS TO EXECUTE PLANS: Once within an NGOs, the costs of simple things like printing & income to ensure the NGOs stability. It turns out that the opportunity to exploit a generation of young adults who want to give vs. spending their free-time backpacking is just too big for organisations to resist. The term Voluntourism has been coined and research by the Volunteer Centre indicates that just 30% of the money collected from volunteers by these organisations is going to the charities. The other 70% is being kept by the agencies. The tipping point for me was when I asked an organisation who had a 3 week program at £2000 including accommodation and food. I explained that I already had my flights and accommodation and just wanted the name of the charity they were helping which looked fascinating. Their reply? “Sure… but for £1000”!!! I was fortunate enough to stumble across the Volunteer Centre who after a couple of emails explaining my background, sent through the details of some different projects I could get involved in. From Drug Education, to Aids awareness, to teaching. Not once did they ask for any money and they were a pleasure to deal with… they couldn’t believe that I was willing to volunteer 8hrs a day for nothing & were simply over-joyed. As for me… I had the time of my life. Living with Brazilian & Italian students, my typical day consisted of working 9.30-4 then I would take off to explore, learn to surf, play golf and enjoy myself. The life of a philanthropist in Cape Town really is 2nd to none. With this in mind, I started wondering… “why aren’t more people doing this?”. Charities are desperate for help… I’m not talking about your big Unicef’s of the world. I’m talking of the 1,2 or 3 people charities who are getting by on passion alone. The ones who could do with even just 1-2 hours of your time – even if you’re on vacation – on financials, marketing, law, IT… you name it. I hope this website inspires YOU to go on and do great things… and hopefully that involves power-of-you.org and the Volunteer Centre! Part Brit, part French, part South African, part Swiss... a philanthropist with a goal to drive lasting impact by inspiring people like YOU to enable charities that will change lives. My Volunteer Experience – work hard… play hard!